Sansa Stark (Sophie Turner) has changed quite a bit over the last six seasons of "Game of Thrones." 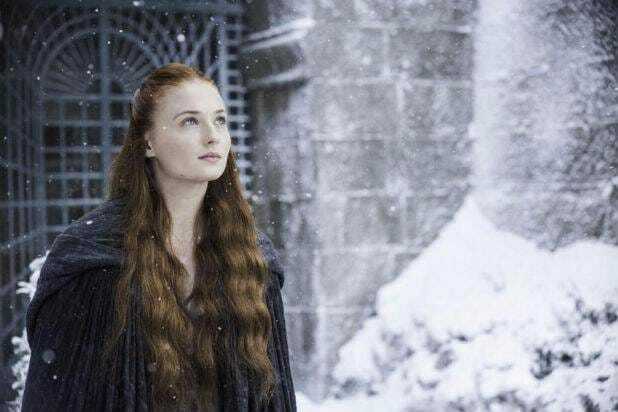 From a girl who couldn't wait to get to King's Landing, to a woman who's suffered more than most, here are the major events that have shaped Sansa Stark. Sansa Stark began as a naive maiden who loved stories of knights and ladies. Tragedy first struck Sansa when her direwolf, Lady, was executed after Arya's direwolf attacked Sansa's betrothed, Joffrey Lannister. When Sansa's father, Ned, was framed for conspiring to take the throne, Sansa pleaded to the Lannisters to spare his life, believing that Joffrey would be merciful. Instead, Joffrey reneged on his deal and executed Ned in front of Sansa and the residents of the capital. After the execution, Joffrey beat and abused Sansa, taunting her with threats that he would next kill her brother, Robb. In a power play, the Lannisters called off Sansa's marriage to Joffrey, having him instead marry Margaery Tyrell to form an alliance with a more powerful family. Instead, Sansa was forced to marry Joffrey's dwarf uncle, Tyrion. 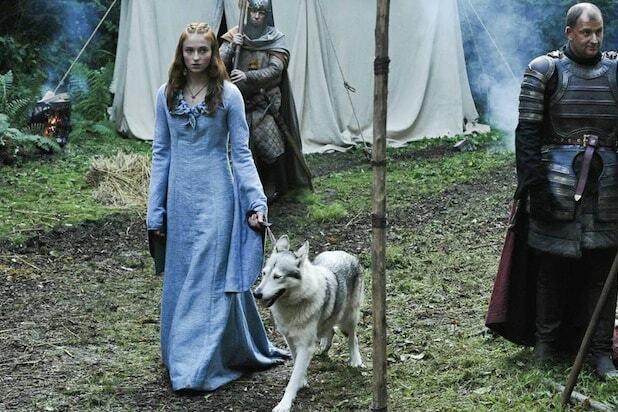 Sansa was repulsed at first, but the two formed a steady friendship despite the feud between their families. Their bond was broken, however, when news came that the Lannisters had pulled off the Red Wedding, a sneak attack that resulted in the deaths of Robb Stark and Sansa's mother, Catelyn. Joffrey gloated over the deaths in Sansa's family, but his pleasure was short-lived. In what would be known as the Purple Wedding, Joffrey was poisoned shortly after marrying Margaery Tyrell, allowing Sansa to finally escape amidst the chaos. With the help of Petyr "Littlefinger" Baelish, who both betrayed Ned and poisoned Joffrey, Sansa fled to live with her crazy aunt Lysa at the Eyrie, a castle atop a high mountain. Littlefinger told Sansa that he was helping her to honor her mother, the only woman he ever loved. He then shocked Sansa by kissing her, neither knowing that Lysa was watching. Lysa, driven insane from the war and filled with unrequited love for Littlefinger, threatened to kill Sansa by throwing her out the Moon Door, a trap door that leads to a 600-foot drop. Instead, Littlefinger saved Sansa and, after cruelly revealing to Lysa that he only loved Catelyn and never her, threw Lysa out the Moon Door. Sansa, in return, manipulated everyone into thinking Lysa committed suicide. Sansa and Littlefinger next traveled to Sansa's childhood home of Winterfell, which belonged to the Starks for centuries but had been taken over by House Bolton, one of the families that killed Robb and Catelyn. Littlefinger's plan was to have Sansa marry the evil Ramsay Bolton, with the hopes that Sansa could manipulate her way into controlling the Boltons and reclaim Winterfell for the Starks. Instead, Sansa was raped by Ramsay in the most controversial scene in "Game of Thrones" history. Sansa lost all control again as Ramsay abused her more than Joffrey ever did. Sansa soon bonded with Ramsay's slave, Reek, once known as Theon Greyjoy. It was Theon who first took Winterfell from the Starks and who was believed to have killed Sansa's younger brothers, but Theon revealed to her that they were still alive. In the Season 5 finale, Sansa and Theon took a leap of faith off the ramparts of Winterfell as they fled into the woods of the North to escape the Boltons. Having survived their fall, Theon headed home to the Iron Islands and Sansa joined up with Brienne of Tarth, and then her resurrected half-brother Jon Snow at Castle Black. Jon and Sansa made plans to retake Winterfell with the help of the wildling refugees Jon had helped settle south of the Wall. Jon and Sansa traveled the North attempting to call the Stark bannermen, with little success. Sansa sent a demand for help to Littlefinger, who leads the forces of the Vale, as she and Jon gather ed what men they have and move on the Boltons. Sansa and Jon parlayed with Ramsay Bolton, who told them he had their brother, Rickon Stark, for a hostage. Sansa refused to negotiate for Rickon, though -- she knew Ramsay well enough to know he'd never let Rickon live. Refusing Sansa's advice that they should wait to raise a larger army, Jon marched on Winterfell and kicked off the Battle of the Bastards. Jon would have been defeated (and likely killed), but Sansa saved the day at the last second with the help of Littlefinger and the Knights of the Vale. Though Jon defeated Ramsay in single combat, he did not execute him. Instead, he left Ramsay's fate to Sansa. She took Ramsay to the kennels, where she watched his starving dogs tear him apart. 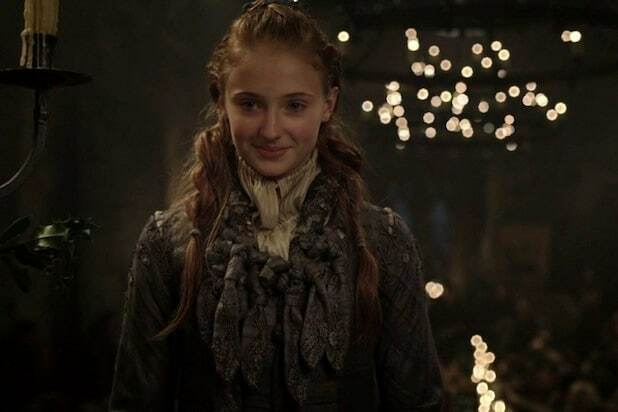 After the Battle of the Bastards, Sansa became Lady of Winterfell as the last known trueborn Stark heir. But instead of following Sansa, her bannermen named Jon Snow King in the North. And even though Sansa and Jon reconciled after the battle and promised to trust each other, it's clear Sansa still does not fully trust Jon.